After the days and days of sun and rain alternating across the Great Southern the vegetables are really putting on some growth spurts. The corn is taking off and the tubers are doing well. 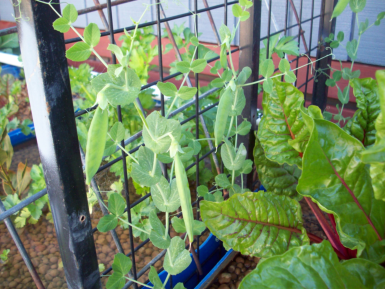 In the aquaponics system we have harvested the first little crop of snow peas. 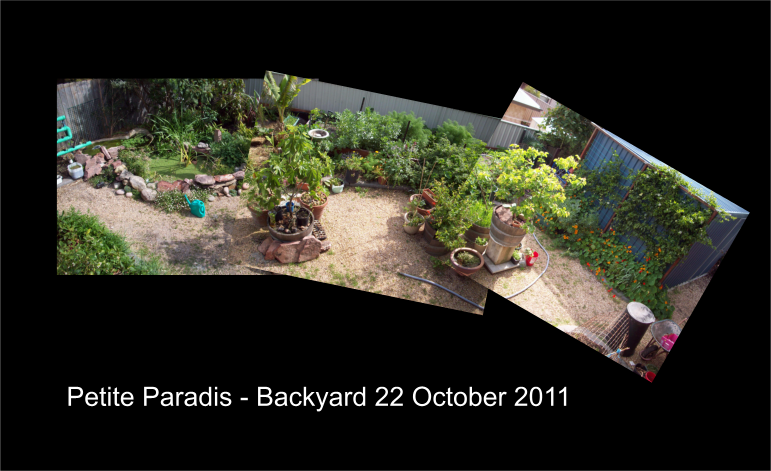 These were planted some time ago and were one of the colonising plants for getting the system underway. 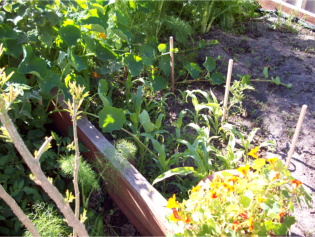 This garden bed is planted with brahmi and watercress. The watercress has thin fibrous roots that have actually reached down as far as the drain and are all around the plug. Some 25 cm plus from the top. Because of this I will either keep this bed as a watercress only bed or after adding an extra pond to the garden pond system, may put it all in there where it is less likely to cause any root problems. 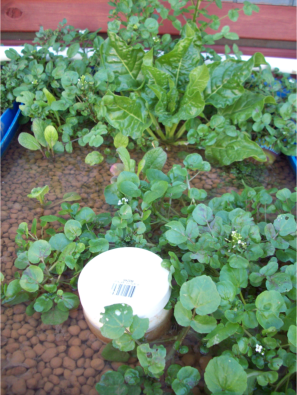 Watercress is one of the plants that I have wanted to grow lots of due to its nutrient content. Even the plants along the local roadside verges where there is trickling water or damp spots are thriving at the moment and in full flower with their white tops.